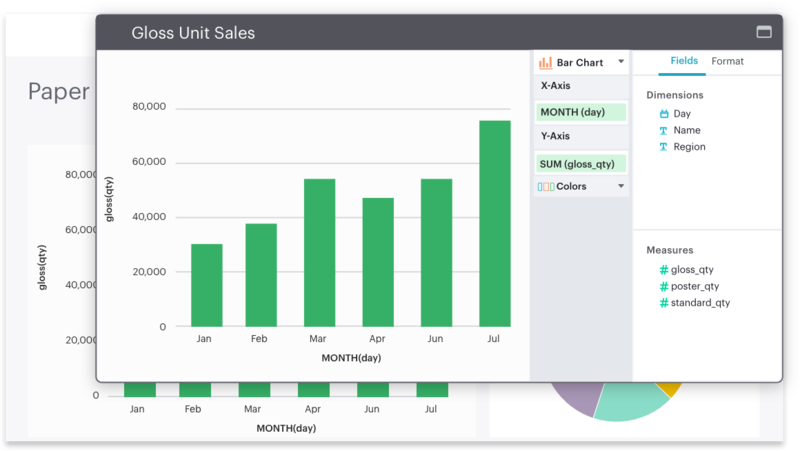 Use Mode's integrated SQL, Python, and visualization tools to turn raw data into powerful reports and dashboards. There's no tedious, proprietary data modeling language to learn before finding answers. 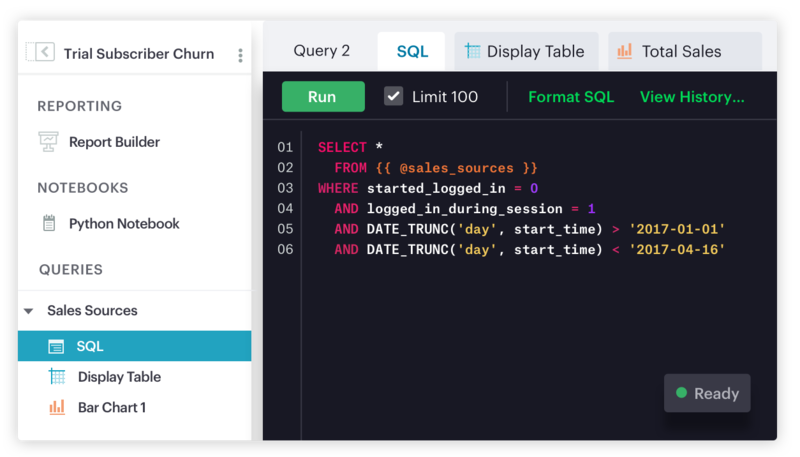 Integrated SQL, Python, and charting tools let you answer any question. Build trust by ensuring your colleagues are looking at the same data. Use Mode Definitions to codify data table relationships that ensure analytical consistency across your organization. Just connect your database and you're ready to go. Start delivering answers to your organization's hardest questions in a fraction of the time it takes to implement a BI platform. BigQuery is Google's fully managed, NoOps, low cost data analytics service. BigQuery is a powerful Big Data analytics platform used by all types of organizations, from startups to Fortune 500 companies. Connect your BigQuery database to write, run, and save complex SQL queries. Write as many queries as needed to get to the heart of the problem. Layer visualizations on top of SQL with built-in charting tools. Explore data visually without having to export it. 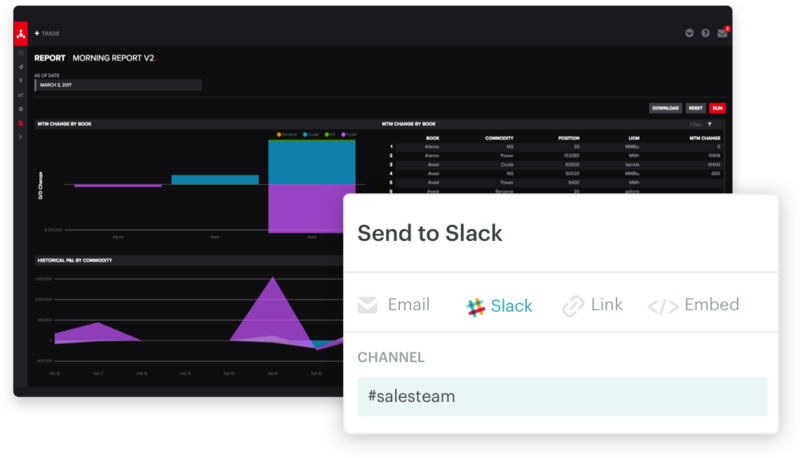 Curate charts and tables into on-brand dashboards, and share them easily with any team at your company.